This past month’s photo contest theme was “Urban Jungle,” and what’s more urban than pigeons and mystery? A city is not just its interesting architecture, cultural idiosyncrasies and masses of people, but someplace where unique characters live in the shadows of tall buildings and a place where the wild things have adapted. A country’s rural landscape offers a geographical context and a glimpse into the past whereas cities, to me, provide a snapshot of society in motion. August’s finalists have proven this point of view with their chosen pictures. 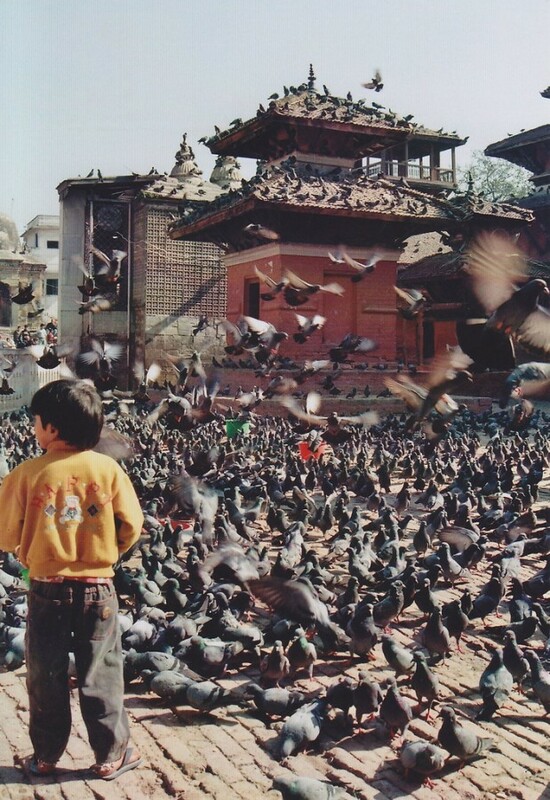 After visiting India I continued to Nepal, and one of the places where I stayed longer was Kathmandu. I found the temples and architecture around Durbar Square amazing. This boy turned up in his bright yellow jumper (great contrast) running around among the pigeons. The contrasting yellow jumper in a sea of gray birds compliments the dynamic of urban living. For some reason, pigeons migrate to places that people settle, proving their ability to exist in a, somewhat, symbiotic way. You can find more uplifting shots on Monica Forss’s flickr. 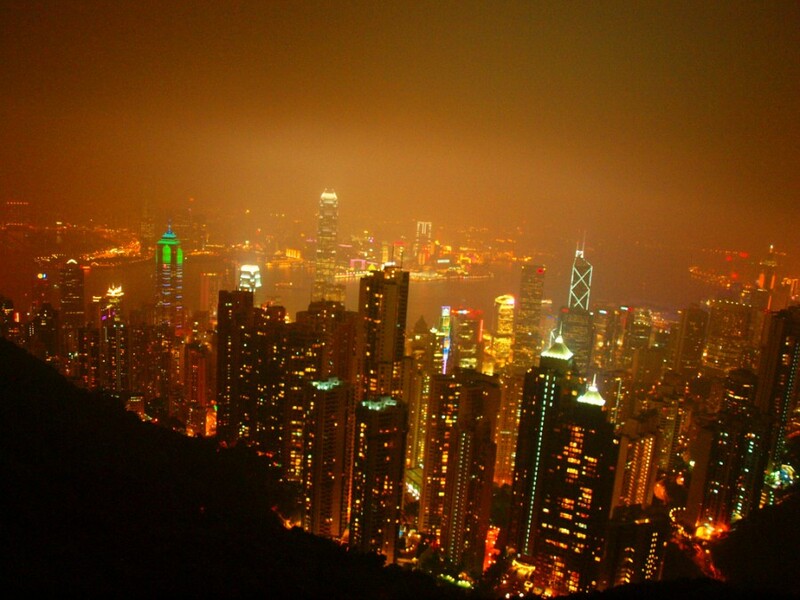 This shot was taken on the Peak in Hong Kong during Chinese New Year of 2010. The clouds that surrounded Hong Kong that evening trapped the light from all the buildings thus creating a warm glow. It certainly gives the city a softer look. To see more of Hong Kong’s center and other adventures, check out Artistree2010’s flickr account. Thank you to all who submitted pictures onto The Expeditioner’s flickr group. With September fast approaching — it’s not just me, right? — don’t forget to join the group and upload your photos for next month’s contest (as well as the site’s upcoming book cover competition).